This loaded 1-owner 2018 Toyota Highlander arrives on trade from our Mercedes-Benz facility in excellent condition and comes loaded as a Limited Platinum model with options including Touchscreen Navigation, Rear Camera with Birds-Eye View Monitor, Panoramic Sunroof, Heated & Ventilated Front Seats, 2nd Row Captain Seats, Blind Spot Monitor, Pre-Collision System, Radar Cruise Control and much more. 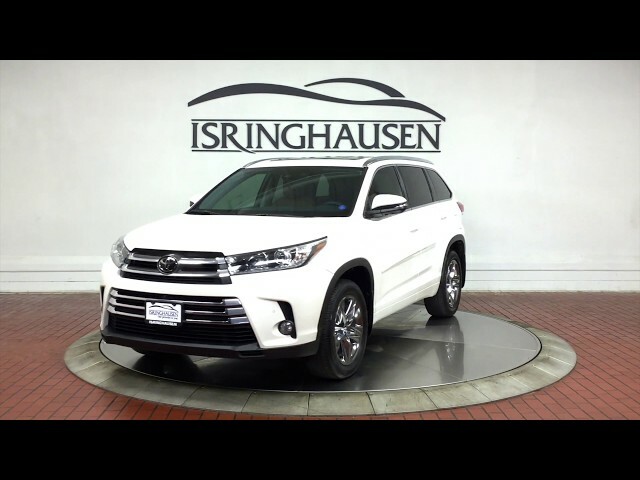 The Toyota Highlander offers a well rounded 3rd row SUV with luxury and legendary reliability and this excellent 1-owner example provides a great value. Contact a Pre-Owned sales specialist today by calling 877-362-9715. Isringhausen Imports is Central Illinois' premier new car, used car and certified pre-owned (CPO) dealership for quality BMW, Porsche, Volvo and Mercedes-Benz vehicles. At Isringhausen Imports, we have become a leader in the industry by working each day towards the greater good of our customers, our fellow employees, and our community.